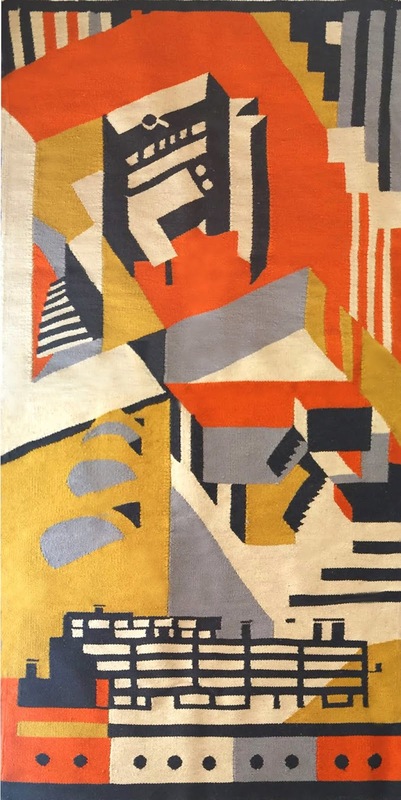 The silhouette of the structure depicted struck us as very familiar but it was not until we were acquainted with latest offering from Design Studio Baklazanas, a Constructivism rug inspired by Moscow’s iconic Narkomfin Building (Дом Наркомфина). The utopian landmark was designed by Moisei Ginzburg (*1892 – †1946) in 1928 as an experiment in communal living with common corridors, shared kitchens and living spaces with the architecture acting as a “social condenser” to dispel traditional masculine and feminine roles and became an influential vision for later generations of planners and engineers. More to explore at the links above.